How do I add a delivery fee to a rental? Delivering gear to your renter? Here's how to add a charge for delivery to a rental. As an owner, if you offer delivery or pick-up services with your rentals, you can add a charge for this service. Make sure you agree this fee with your renter before adding the charge. Delivery fees can only be added on confirmed rentals, so the first step is to 'accept' the rental request from the renter. Click the Edit Order button (just under the 'Order Summary' section). Type the dollar amount of the delivery charge. This new charge will be shown in the Order Summary section. You're all set! 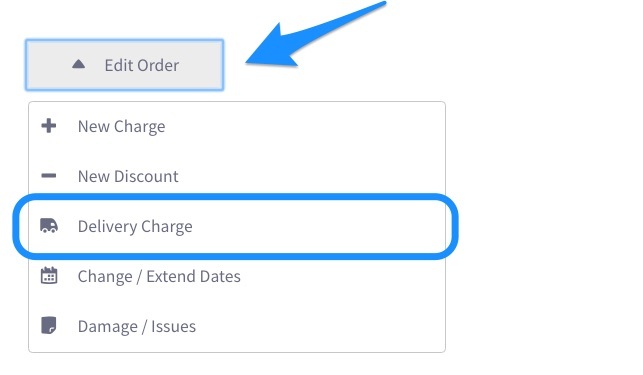 The Order Summary will be updated so both you and the renter can see the new charge. Please note that all charges added to a rental, including delivery fees, are subject to ShareGrid's standard fees. Plan to offer delivery frequently on your rentals? Get a step up on the competition by adding the 'Delivery' badge to your account and listings. To turn on this feature, click your picture at the top of the screen, then click Settings, and select the Account tab. Scroll down and you'll see the option marked 'Are you willing to deliver?' Check this box, hit Save, and your profile and listings will be marked with the 'delivery truck' badge, so renters will know that you offer delivery on your items for an extra fee.